Flannery O'Connor and the Mystery of Love interprets O'Connor's perplexing fiction on its own terms. By stepping back from prevailing controversies, this seminal study takes the pleasure of turning to the short stories and novels themselves and forming an impression of them while seeking the answers to such questions as they necessarily suggest themselves. This goal inevitably entails a consideration of the hardness and violence that are the hallmark of O'Connor's genius. That severity for Giannone is inseparable from O'Connor's recounting, in her words, "the action of grace." God's bounty can leave its beneficiaries with some very real handicaps. Grace in this fiction can make the blood run cold; it can do real injury to the body; and it can annihilate. These devastations paradoxically prepare the characters to receive and give compassion. In its numerous and disturbing forms, the coupling of violence and hardship with divine favor marks the mature nature of O'Connor's Christianity. Suffering is found at heart of love and is its hidden face, agonized and abandoned. This is a love that is an anomaly and an enigma, for the wracked human body holds the glimmer of good omen. 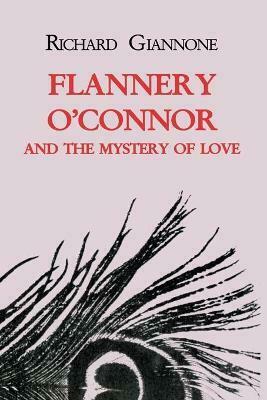 Flannery O'Connor and the Mystery of Love traces the evolution of these gaping wounds of love to show how they present the same challenge to her readers as to her characters, all of whom must learn that we are worth what our love is worth.